Welcome to Rescue Scottish Pets. A site dedicated to helping shelters rehome and rescue dogs, cats, rabbits and many other pets in Scotland. You will find dogs, cats, rabbits in the care of shelters all over Scotland that are in need of rescue on Rescue Scottish Pets. So many dogs lose their lives everyday as they can't find homes while breeders continue to churn out new pups. So please rehome, don't buy! Bailey is described as a grey and white Lhasa Apso Cross. Bailey is a nervous wee dog who ideally is looking for an adult only home.He is fully house trained and is fine being left in the house on his own.He would prefer to be an only pet and he is fine with other dogs but needs slow introductions as he... Tap or click to read more about Bailey. Sadie is described as a Staffordshire Bull Terrier. SADIE, female AGE - 7 months old DOGS - she is very stressed out at the moment her assessments haven't been great but this is due to stress. KIDS - she is great with kids and adults CATS - she is not assessed with cats or small furries Sadie was in a temp foster home... Tap or click to read more about Sadie. Little Lil is described as a Staffordshire Bull Terrier. Little Lil Female 11 years young Dogs - seems to be happy to share her home with other dogs Cats - to be assessed Children - 8yrs and over We have a lovely update from Lily <3 Hello! Little Lil here. My foster pawrents call me Lily Pig as I’m small, piggy shaped and sometimes I make grunty noises.... Tap or click to read more about Little Lil. RUBY is described as a Staffordshire Bull Terrier. RUBY AGE - 2yrs old in May DOGS - she has been good with all the dogs she has met since being with us KIDS - good with kids 8+ CATS - she has not been assessed with cats or small furries . Ruby is a beautiful girl. She is obedient and knows some commands. She... Tap or click to read more about RUBY. Charlie is described as a Staffordshire Bull Terrier. Dogs - to be assessed further, Charlie met some dogs nicely, but seemed unhappy with other smaller dogs who were making a lot of noise. Kids - to be assessed Cats - to be assessed Charlie loves squeezy cheese! Charlie has just arrived with us at the rescue. He is a friendly boy, who travelled happily and... Tap or click to read more about Charlie. Caesar is described as a Staffordshire Cross (SBT). Likes Caesar is a 2-year-old Staffordshire Bull Terrier Cross. He's an incredibly friendly boy who is always pleased to see his favourite people. He adores attention and truly believes that he is a lap dog! He would like to live with a family with children over the age of 16. Caesar... Tap or click to read more about Caesar. Ellen is described as a Greyhound. Likes Ellen is a beautiful 6-year-old Greyhound who is super friendly and adores being around people - even people who have never met her before are sure of a warm reception from this wonderful girl. She loves a cuddle and lots of fuss from her family. Ellen is an ex-racing greyhound... Tap or click to read more about Ellen. Tallulah Belle is described as a Jack Russell Terrier (JRT). Likes Tallulah Belle is a sweet little lady looking for a home with someone around initially to help her settle. Once settled she will be able to be left for a few hours at a time and is housetrained. She can live with children over the age of 12 years old. Type... Tap or click to read more about Tallulah Belle. Lucy is described as a Domestic short hair. Please note: initial viewings are by appointment only. Thanks Lucy is looking for a new home where her new owner will have plenty of time and patience to allow her to learn to trust them. Lucy originally came in as a stray so we don’t have much background on her, we... Tap or click to read more about Lucy. Max is described as a black and white Border Collie. Reference: 19.052 Approx Age: 1 year, 1 month Description Max is a nervous boy who needs his space. He is not keen on close contact but is coming on with his touch training. Max has not been used to new people so he needs time to adjust and feel comfortable with strangers. This... Tap or click to read more about Max. Max is described as a white with black JRT mix. Max is one of the best dogs that we have ever had. Good with everyone and every dog, he is fun, yet loves to chill in the armchair too. Currently in foster in the PH10 area, Max is house and lead trained too. Whoever adopts Max truly will have the... Tap or click to read more about Max. Jayden is described as a black grey Terrier mix. Jayden is in foster in a family home with other dogs and children. A perfect medium size pup, he would love a medium active family. He is sociable and would love another dog to play with too. Not assessed with cats. Please note that we do not adopt pups to... Tap or click to read more about Jayden. Raducu is described as a cream corgi lab. Raducu is in a foster family home in Perth. He is house and lead trained and has a very sunny personality. A submissive and friendly boy, he would love a medium active home. Please note that we do not adopt our dogs to families with children under the age of... Tap or click to read more about Raducu. Angus is described as a Patterdale Terrier. Likes Angus is a 6 year old, Patterdale Terrier. Angus is very sweet and loving with those he knows and trusts. He can be shy and nervous around people that he doesnt know and does take time to build a friendship. Angus is a total foodie and enjoys playing search and... Tap or click to read more about Angus. Nick is described as a Crossbreed. Likes Nick is a 14-year-old Collie cross Labrador. He is a handsome older gent who can't wait to get lots of attention and cuddles in his perfect retirement home. When he's out and about on his walks he's a friendly boy who will happily sit and get lots of scratches behind... Tap or click to read more about Nick. Buddy is described as a German Shepherd Dog (GSD / Alsatian). Likes Buddy is a 10 year old German Shephard cross. Buddy is a sweetheart who quickly makes friends with anyone who is happy to give him a scratch behind the ear and a tasty treat! He is a super friendly boy who is happy to say hello to everyone he meets.... Tap or click to read more about Buddy. Brodie is described as a Border Collie. Likes Brilliant Brodie is a handsome 2 year old Border Collie. He is a shy boy and it can take him a little time in getting to know new people. Although Brodie is very sweet and will approach people that he knows well for a scratch and a cuddle, his sensitive... Tap or click to read more about Brodie. Doc is described as a Jack Russell Terrier (JRT). Likes Doc is a sweet little man who finds kennel life quite overwhelming. He can be a little worried around new people but once he gets to know you he loves attention and jumps on your knee for a cuddle. Once he is settled in a home we are sure his... Tap or click to read more about Doc. Sprite is described as a Lurcher. Likes Sprite is a lovely lady looking for the perfect home environment for a sighthound. She has a very high prey drive and will need an owner with experience of the breed. She is a very enthusiastic girl and enjoys agility, she would love to continue this in her new home.... Tap or click to read more about Sprite. Flynn is described as a Crossbreed. Likes Flynn is a sweet little puppy who is looking for a forever home committed to giving him the time and training he needs. He will require all basic training so having previous dog experience would be best. Type of home needed Flynn can live with dogs, cats and children from newborn upwards.... Tap or click to read more about Flynn. Ernest is described as a Greyhound. Likes Ernest is a handsome boy. He walks like a dream on a lead and enjoy's spending time with his loved ones. Ernest takes a while to trust new people and is generally an independent dog but he does enjoy attention once he has a bond with you. He needs a... Tap or click to read more about Ernest. Benji is described as a Patterdale Terrier. Likes Benji is a typical terrier who is full of beans. As he is energetic and full of character he is looking for someone just as active to keep up with him. He needs plenty of mental stimulation and he loves treats so will work hard to please his owner for... Tap or click to read more about Benji. Honey Bunny is described as a Dutch/English Spot. Time In Rescue: 1 week Neutered? : Neutering to be arranged. Vaccinated: No Microchipped? : No Entry Reason: OWNER CIRCUMSTANCES: UNPLANNED LITTER I am new to the rescue and our volunteers are still trying to get to know me. Check back soon for an updated story!... Tap or click to read more about Honey Bunny. Bugs is described as a Dutch/English Spot. Time In Rescue: 1 week Neutered? : Neutering to be arranged. Vaccinated: No Microchipped? : No Entry Reason: OWNER CIRCUMSTANCES: UNPLANNED LITTER I am new to the rescue and our volunteers are still trying to get to know me. Check back soon for an updated story!... Tap or click to read more about Bugs. Meghan is described as a black Cross Breed. Time In Rescue: 5 days Neutered? : Neutered, 15/10/2018 Vaccinated: Yes Microchipped? : Yes Entry Reason: OWNER HEALTH: ALLERGIES WITHIN HOUSEHOLD My name is Meghan. I have a beautiful soft black coat and I enjoy playing with toys including cardboard boxes. I eat Burgess nuggets, lots of hay and vegetables including kale, spring greens and broccoli.... Tap or click to read more about Meghan. Benjamin is described as a Breed:. Time In Rescue: 5 days Neutered? : Neutering to be arranged. Vaccinated: No Microchipped? : Yes Entry Reason: Holiday Cover (Foster) I am new to the rescue and our volunteers are still trying to get to know me. Check back soon for an updated story!... Tap or click to read more about Benjamin. 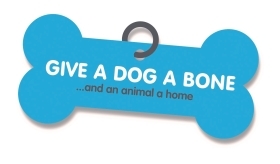 This site aims is to raise awareness of dogs, cats and other pets in need of rescue in Scotland by providing one site where any pets in need can be found. It also provides an easy way for charities and shelters to list their pets needing rehomed / rescued at no cost and without the need to maintain their own website. Currently there are dogs, cats, rabbits and gerbils in need of rescue in Glasgow, Edinburgh, Central Belt (Stirling, Callander), Dumfries, Fife, Borders, Inverness, Caithness and North (Highlands) and many other pets in foster homes all over Scotland.